I've been trying to get caught up on all of my saved product posts and pictures. Today I'm showing you some beautiful swatches of Ofra's newest duo and triple chrome liquid lipsticks, check it out! This Summer Ofra released some gorgeous multi-hue liquid lipsticks. They're different than any of their current shades. 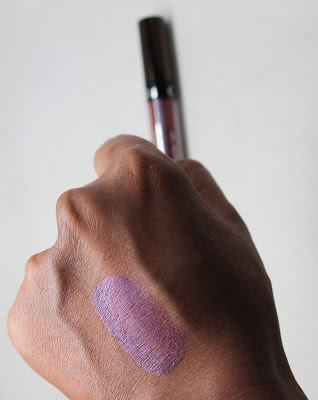 The texture is very light and the finish is high shine and metallic. They work on their own and are also gorgeous paired with a lipstick that highlight's it's reflective shimmer. 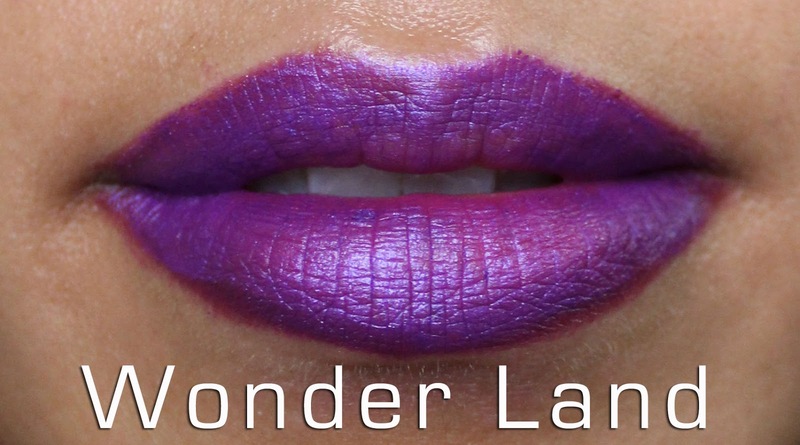 Top Left: Wonder Land: a vibrant purple-pink duo-chrome with blue reflects. 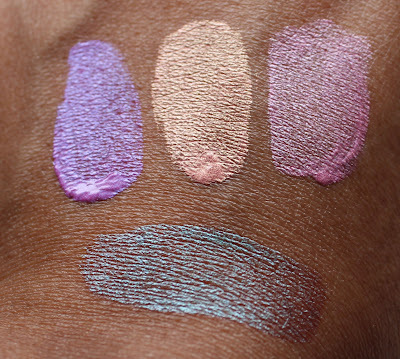 Top Middle: Atlantis: a radiant pink duo-chrome with gold reflects. Top Right: Utopia: a frosted pink duo-chrome with silver reflects. Bottom: Emerald City: a triple-chrome that reflects gold, green and red. 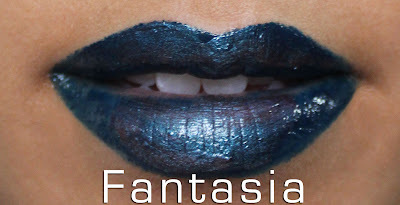 Pictured: Fantasia a triple-chrome that reflects red, purple and blue. Like I mentioned before you wear these lipsticks by themselves or on their own. 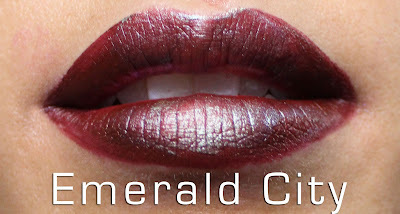 I especially love pairing the triple chromes with a matching base lip color. These are also a great option for those who love a bit of shine without the stickiness of a gloss - especially a good idea for wedding day smooches! I'm also very excited to rock some of the the more unusual shades for Halloween. I have some upcoming looks rocking these lippies coming soon. Including using one of them as a cheek highlight, cool right? 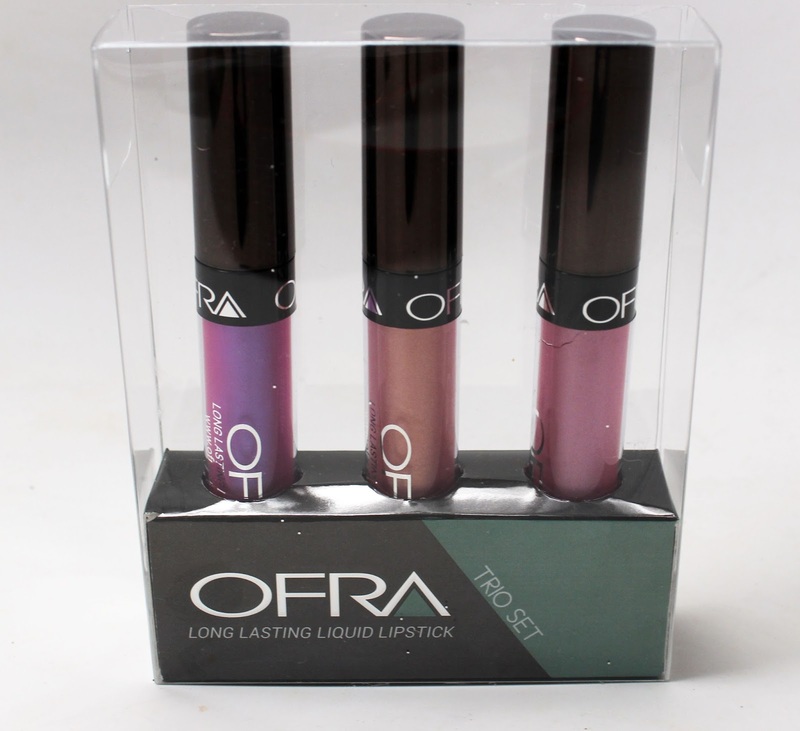 In the meantime, check out these products at www.ofracosmetics.com and use coupon code MakeupByRenRen for 30% off!